Easily Distracted » Blog Archive » Congratulations! My Big Brother, Aryk, is now officially married to his wife, Heather! 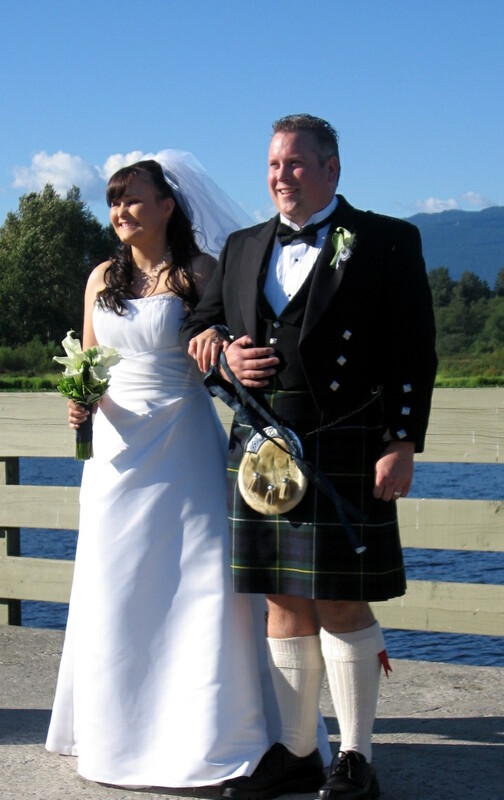 The wedding was Sunday, August 3rd and it went extremely well. I had the honour of being best man which meant a lot to me. 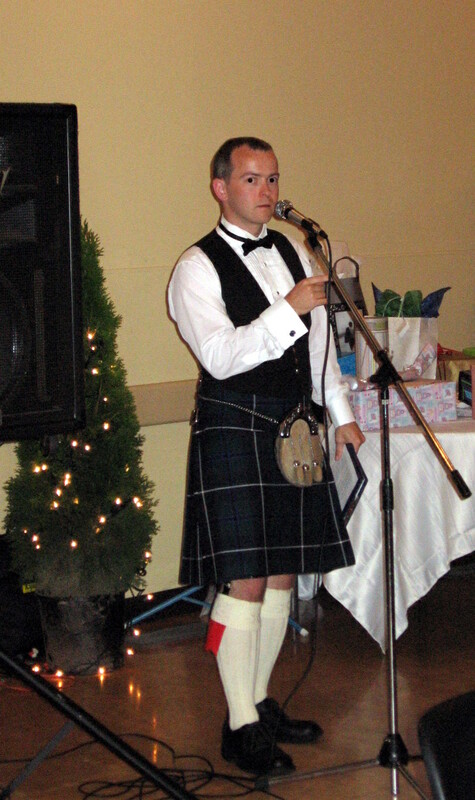 I even got to wear a kilt! (Along with my brother, their baby, the officiant, and the piper.) I don’t have any pictures at the moment, but I’m sure I’ll get some eventually. I helped my sister out with creating a DVD slideshow with music to present at the wedding (via rented projector) and give to them as a gift. My sister was behind all the creative and organizational efforts, I was just needed to put it together. It turned out really great, and it was definitely worth going with the more expensive projector. But the thing I was most nervous about was the “often most anticipated” (according to various sources on the Internet) speech of the evening – the Best Man’s Speech. I was brainstorming bits here and there for quite a while, but I worked on it pretty intensely the last couple days trying to make it flow and deciding what to keep. I was even making changes 1 minute prior to getting up and doing it! ^.^ Anyway, the speech went really well – better than I could have imagined. It’s amazing; the feeling you get when you have an auditorium full of people under your control, laughing when you want them to laugh. People throughout the night kept telling me how good it was. I think I’m still floating on that high. But what’s most important is that Aryk and Heather loved it – that makes me feel great – that I was able to contribute a little bit of success to their fantastic wedding. Posted on Friday, August 8th, 2008 at 6:10 pm. Tagged with: Family, Photos, wedding. Your brother has an interesting name.. compared to Steve.